Greyhounds at the Canidrome, 2011. "GRNSW does not support the export of greyhounds to any country that do not meet contemporary animal welfare standards ... and supports the decision of Greyhounds Australasia to suspend the issuing of 'greyhound passports' to Macau in March 2013. That suspension still exists." Since this ban has been in effect, the number of greyhounds exported to Macau has significantly dropped. More importantly, this development should send a powerful message to the Macau government that the track is not viable. Unfortunately, greyhounds are still being shipped to Macau by individuals who are flouting the industry imposed ban on exports. This proves that the Australian dog racing industry is incapable of regulating itself, and further change is needed. The Canidrome is now completely isolated. Animal protection groups from across the world have called on the government to close the track, because of policies that are cruel and inhumane. Now the Canidrome has been rejected by the dog racing industry itself, a sure sign that the end is near for this death track. The Canidrome sits on property that is owned by Macau, and its land lease expires at the end of 2015. The lease should be allowed to end, finally closing a sad chapter in Macau's history. The time is running out for these owners an trainers. We (the Jedlicka Family) would like to say Thank You to the New South Wale's Government in putting a ban on the the Greyhound Passports to the Macau Race Track. An in knowing that this is one more final step in ending Greyhound Racing. This is a promising step from the NSW Government, many people have been lobbying for years for this to stop. 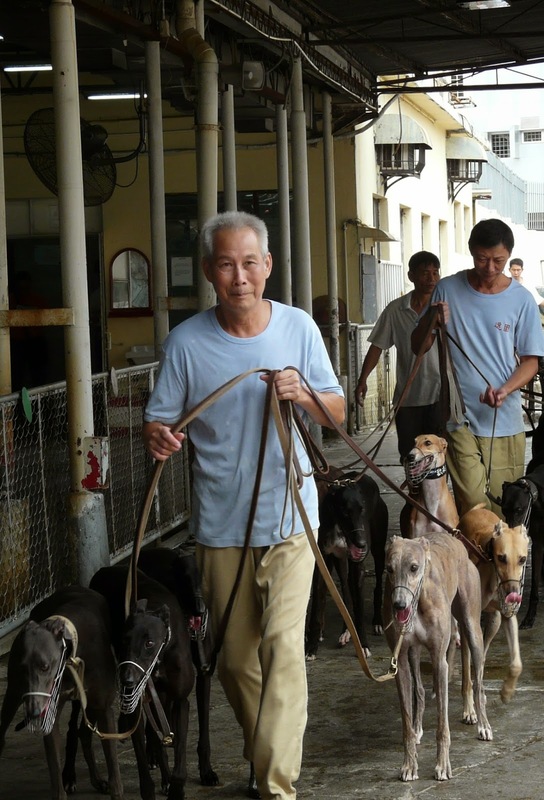 Is Australia exporting Greyhounds to other Asian countries such as Vietnam? I would like to know if we have stopped one exit but have left others open.Until Greyhound racing is totally phased out in Australia, and that is going to be a huge battle, we will have to keep lobbying and making our voices heard. BAN GREYHOUND RACING & EXPORTING. Il faudrait qu'ils interdissent la chasse en l'Espagne avec ces lévriers qui sont tués torturés pendus si s'avère qu'ils ne chassent pas bien ..